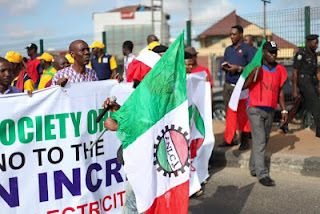 The Ayuba Waba-led protest of the Nigeria Labour Congress (NLC) in Abuja on Thursday gathered more momentum as it enters its second day. 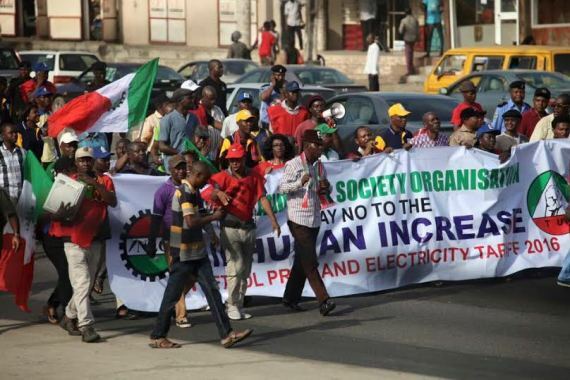 This comes as the Federal Government issued circulars to ministries and parastatals, threatening to enforce the ‘no work no pay’ rule on any government worker who participates in the industrial action. 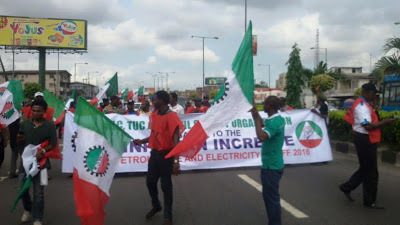 The protesting labour leaders insisted that they would not be deterred by such directives from the government, as the union and its allies marched through the highways in the Federal Capital Territory. Waba, who is the President of NLC, urged members of the union and other stakeholders to be willing to make sacrifices for the struggle. 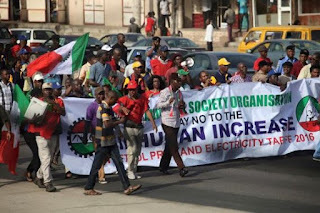 However, some workers complied with the Federal Government’s ‘no work to pay’ warning, as workers at the federal secretariat and the National Hospital resumed work. 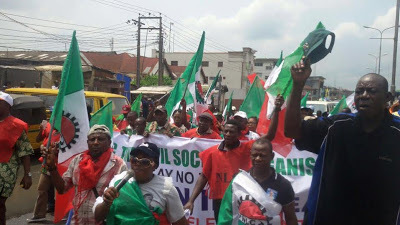 The Vice President of NLC, Peter Adeyami, and a member of a civil society organisation, Jaye Gaskia, said that the number of those who believe in their course would not stop them from achieving success. It is not yet clear how far the protesting workers are ready to press home their demands. 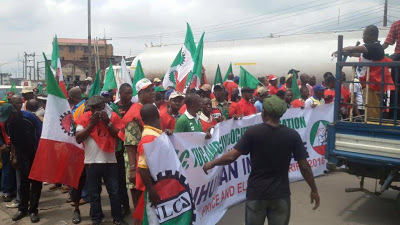 Negotiation meetings between the workers union and the Federal Government on Tuesday had ended in a deadlock, as the leadership of the NLC under Waba walked out of the meeting. However, government reached an agreement with another faction of the NLC led by Joe Ajaero, to set up a committee to resolve agitations over the new pump price of petrol.